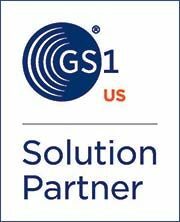 Solutions that “Simplify Traceability” of your assets, inventory, and other key physical elements of your business by our subject matter experts utilizing our Proven Process for Success. Service solutions, certified support, and repair options for the equipment that is essential to keeping your business productive, profitable, on schedule and customers happy! Buy the asset tracking, inventory tracking, and data capture equipment needed for efficient supply chain operations. RFID and barcode scanners, printers, labels, and supplies. Solutions and products for Government – from state and local to federal and military needs; Lowry Solutions has the expertise, knowledge, and skill to get the job done! Shop AIT-V contract and GSA here. Lowry Solutions is one-stop-shop for all your label, ribbon, tags, and media supplies. We offer Zebra and Honeywell partner supplies and proudly manufacture our own premium quality Lowry Labels. For decades, Lowry Solutions has established itself as the leading total solutions provider of enterprise mobility and AIDC technology that Simplifies Traceability. Learn more about us…maybe join our team! Once you select either (HARDWARE) or (SOFTWARE), you will be brought to a new page to begin entering details about the issue(s) you are experiencing. Once the final step is complete, the Service Request workflow will be put into motion and your request will enter our ticketing system. To begin the “Service Request Submission” process, please select the item below that requires service. Enter the email address used to submit the service request to check its status. Choosing the correct barcode scanner for your application is vital to your success-especially since there are a multitude of factors to consider from handheld barcode scanners to stationary units. Lowry Solutions offers a full range of barcode products that will handle all your requirements; whether you need a reader for 1D or 2D barcodes, cordless / wireless scanners, industrial rugged scanners, or presentation scanners, Lowry has the product you’re looking for. As the business world evolves, it’s become increasingly important to equip workers with the right enterprise mobility computer products and tools to ensure they are as productive in the field as they are in the office. Using mobile computing products that are technologically designed to withstand the harsh conditions of industrial environments ensures that your workforce can access critical data whenever and wherever they are. Not only will enterprise mobile computing technology help you gain efficiency in your warehouse enterprise, but it will also provide business benefits throughout the scope of your operations. Looking for a direct thermal printer or thermal transfer printer? Whether you’re printing asset labels, shipping labels or wristbands. With a large selection of Desktop printers, Industrial printers and Mobile printers, we have the barcode printer you need for your application, regardless of the size or environment. Find your new barcode printer right here or let our helpful team members recommend a barcode printer that is right for your business! Lowry Solutions applies more than 20 years’ design and industry expertise to meet unique barcode application challenges with high quality, durable barcode labels. From environmental conditions to satisfying compliance codes, Lowry is the one-stop resource for meeting any stock or custom barcode label application requirement.